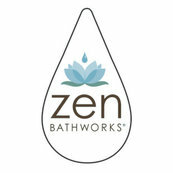 If you’re looking for a hot tub that is an attractive feature of your outdoor space, consider Zen Bathworks hot tubs. They fabricate beautiful cedar hot tubs! We can't over emphasize how much we value your feedback as well as your satisfaction. It has been a pleasure serving you! Please let us know if we can be of service again in the future. This is THE best investment for me since a long time! The product this company makes is very high quality and is architectural and beautifull.. Thanks Rebecca! Your bath looks beautiful - we are happy to have had a part to play in bringing it all together.